A United States green card, also known as an Alien Registration Receipt Card, is a document issued by the office of the United States Citizenship and Immigration Services that certifies that you are a permanent resident of the United States. Sometimes, you may need or want to legally change your name after acquiring your green card. Under federal law, a permanent resident is legally allowed to change his name. However, there are certain steps you should follow to ensure that your name change does not interfere with your immigration status. The first step is to legally change your name under applicable state law. Many states do not require specific information regarding your immigration status when you apply to change your name. For example, in California, Florida and Georgia, the legal process for changing your name is the same whether you are a U.S. citizen or a permanent resident. Contact your local court to begin the process of legally changing your name. If you legally change your name because of marriage or divorce, make sure to procure a copy of the marriage certificate or divorce decree. Once you have changed your name under state law, you can replace your old green card with a new green card that reflects your new name. 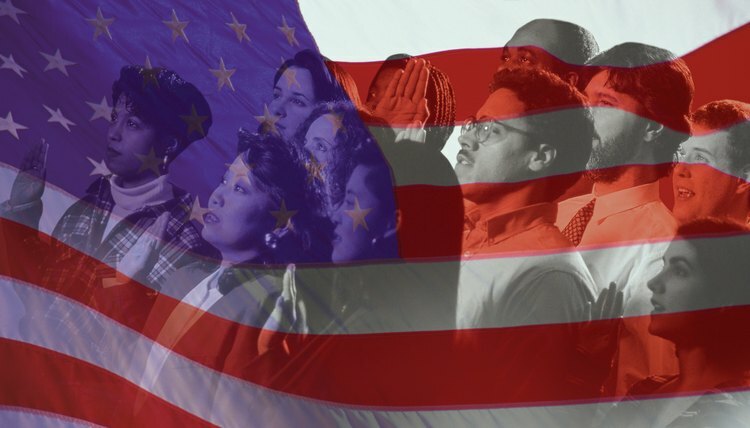 Although you are not legally required to replace your green card if you change your name, the USCIS urges permanent residents to request a new green card if you have legally changed your name. As a permanent resident, it is best to replace your green card if your biographical information changes, because this helps to avoid any problems proving your permanent resident status. Fill out USCIS form I-90: Application to Replace Permanent Resident Card to begin the process of replacing your green card. In addition to filing out the application, you must include copies of any legal documents issued to you by the state indicating that you have legally changed your name, such as a court order or marriage certificate. There are certain fees associated with filing an I-90 form to replace your green card due to a name change. At the time of publication, the fee for replacing your green card due to a legal name change, was $450. The form is available online. You can submit the Form I-90 via mail or online at the USCIS website. Once you submit your application, the USCIS will review your request. You can check the status of your application online or by calling the USCIS customer service online. If your application is approved, the USCIS will mail your new green card to you. If your application is denied, you will receive a notice explaining why it was denied. In some instances, the USCIS may require more information or evidence from you before they approve your application to replace your green card. You may be required to appear at a USCIS office for an interview or to submit the original of the applicable legal document as evidence of your name change under state law. Make sure to keep your original documents in a safe place to avoid any issues. In addition to replacing your green card, you should take any steps necessary to update your driver's license, Social Security card and banking information to reflect your legal name change.